T oday is Valentine’s Day, and becuase of this special day, the whole world is going to try and show more love to those they love, or to humanity in general. On this day filled with love and good feelings, people tend to break out a romantic movie just to add to the good feelings. There are many movies that will be watched today, but one of the movies that is considered to be the most romantic of all, is the 1997 movie, Titanic. 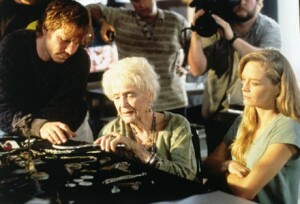 The 1997 blockbuster was directed by James Cameron, and while the movie is largely about the largest ship in the world sinking on its maiden voyage, the movie also feature a romance blossoming between a poor artist and a rich girl. For those that have seen the movie, it may be hard to determine what were the most romantic things that were said. However, here is a list of the top 6 most romantic movie quotes from Titanic that are still so full of love that it can melt hearts that are as cold as an iceberg. Never were truer words spoken ever, and they were spoke by Rose as an old lady of 100 years old. What this quote means can be left up to interpretation, but the biggest meaning of it is that women can love very deeply. Is it really true that women are more emotionally connected to people than men? 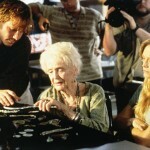 Well, true or not, old Rose, and director James Cameron, seemed to think so. The full quote is actually, “This is crazy. I know. It doesn’t make any since. That’s why I trust it.” These lovely, yet confusing words, were uttered by Rose after she and Jack had just made love in the car down in the Titanic’s cargo hold. What Rose was basically saying was that she was going to throw away her very prominent looking future with a filthy rich man to run off with a poor man she just happened to love. Does it get any more romantic than that? While this line does seem insulting, the fact is that Rose gave up her place in a lifeboat. The Titanic had struck an iceberg at this point, and was sinking, and it was obvious to everyone on deck that their lives were in grave danger. Jack and Cal, her fiance, did manage to convince Rose to get into a lifeboat, but as they boat was lowering, she basically jumped back on board. The two were reunited, and Jack said Rose was stupid for getting back on a sinking ship, but at the same time, he was glad to see her and they then decided to meet their fate together. 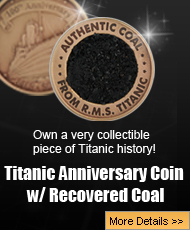 By this point in the movie, the Titanic is only moments away from sinking fully into the freezing, black waters of the North Atlantic. All of the people still on board have managed to make it to the stern, which was the only part still out of the water. Here, Jack, Rose, and countless others, are waiting for the ship to sink, and in this moment of sheer terror, Rose utters this quote. Perhaps it is a way for her to diffuse the moment, or perhaps she knows she may die and wants to convey that even in the end, her thoughts are on the young man she loves. 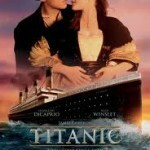 The Titanic had sank, and now Jack, Rose, and over 1500 people were floating in the freezing water trying to get help. Rose ended up on top of a floating piece of wood, and admittedly, the odds of survival were pretty small. 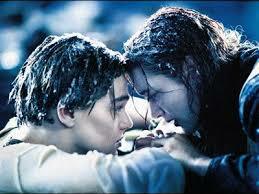 Rose decided to tell Jack that she loved him, but Jack stopped her. Jack basically told her that no matter how dire it seemed, Rose was going to survive, and would ahve a chance to love and have a full life. 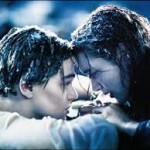 Jack has died, and sunk into the water, and now Rose has to try and get rescued on her own. 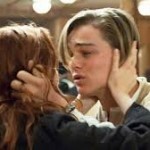 Before he sinks into the water, Rose kissed Jack’s hand, then let him go. When she said she would never let go, she would mean of her love for him, and her life. In order to keep her promise to Jack, Rose had to get tough, and she was able to get rescued and go on with her life thanks to Jack. Valentine’s Day is the most romantic day of the year, and people all around the world celebrate it by watching a romantic movie. 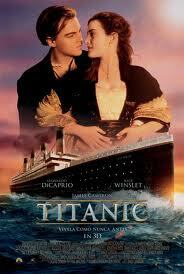 One of the movies that often gets watched on this special day is Titanic. The movie was over three hours long, and had great dialogue, but there are six lines from it that were the most romantic ever. Though no matter what was said between Jack and Rose said to one another, the young couple had a tragic love that though brief, was very deep and meaningful. Titanic came out in 1997, and this year marks the 20 year anniversary, and 20 years old or not, the feelings the movies inspire still holds true to this day. 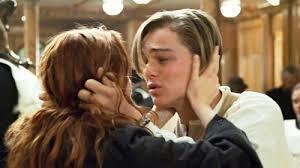 Jack and Rose are still considered to be one of most romantic couples in movie history.